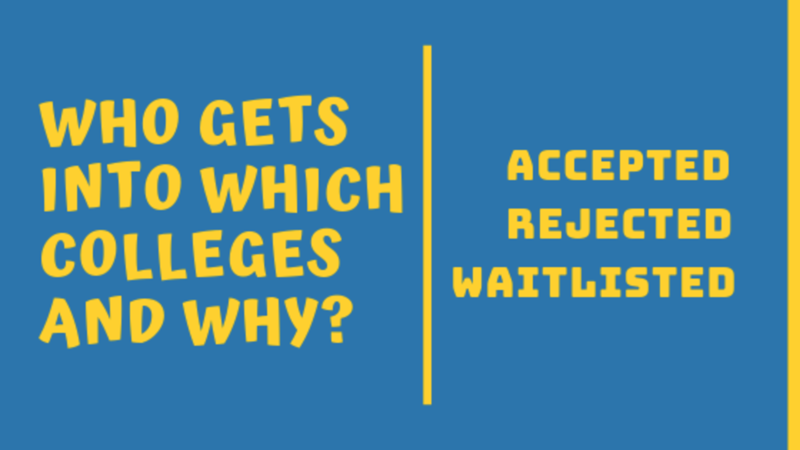 Why do some students get admitted and others don't? However, I believe the biggest difference-maker is when a student begins to pay attention to the college admissions process. Student A crushed it. He ran the table. He was admitted everywhere - reach, match, and safety schools. When did he start learning from PrepWell Academy? Freshman year. 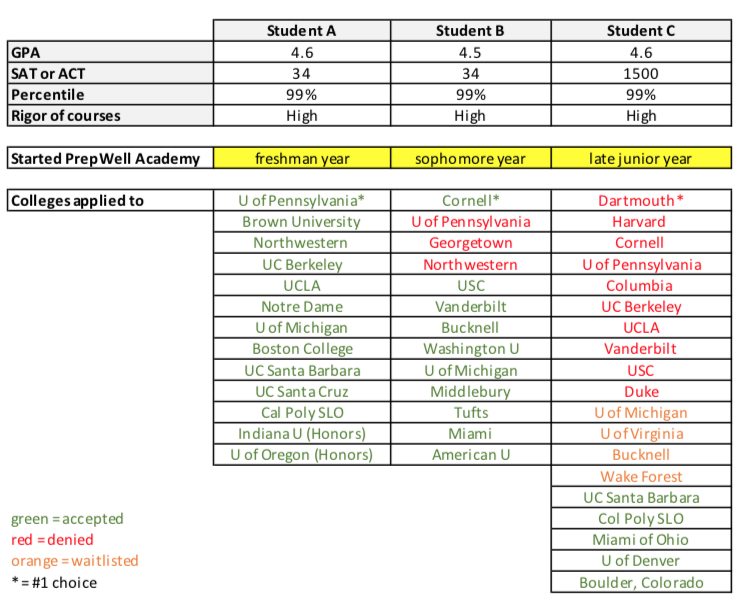 Student B nabbed his first-choice reach school (Cornell), missed on some other reaches, and got in everywhere else. When did he start learning from PrepWell Academy? Sophomore year. Student C had a tough time with his reaches, got a little love from his match schools, and got into his safeties. When did he start learning from PrepWell Academy? End of Junior year. Outcomes like these don't happen by accident, mistake, or luck. They are determined, in large part, by when a student begins to receive the guidance, advice, and strategies to win this game. Of course, the most successful students also execute on the advice, but if they never get the advice to begin with - they have little chance. I believe the results above are directly related to when these students began to take the process seriously. Which camp do you want your child in? If you want to equip your child with the tools they need to succeed in the college admissions process, get them to pay attention sooner rather than later. If you'd like me to take on that role, enroll in PrepWell Academy before your child's junior year. If you'd like to take on the role of chief mentor, strategist, and admissions expert yourself - go for it! I wish you luck and would be happy to help you along the way.